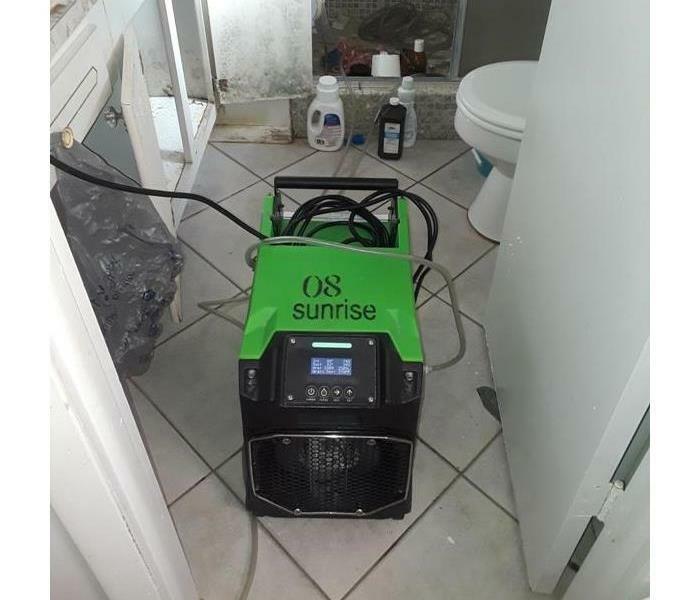 SERVPRO of Sunrise knows that water damage can come from hurricanes, roof leaks, clogged gutters, rain storms, washing machine hoses, broken water heaters, over-flowing dishwashers and tubs, as well as accidents like a nail in a pipe. When a water damage happens, whether big or small, mold can set in. 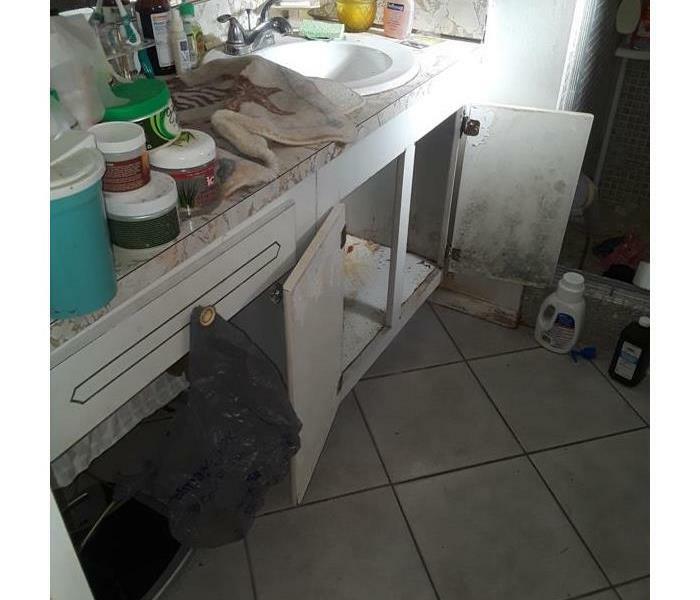 Standing water in your Lauderhill, Fort Lauderdale, or Plantation home can lead to mold growth; however, mold doesn’t need visible water to grow, just moisture or humidity is enough. 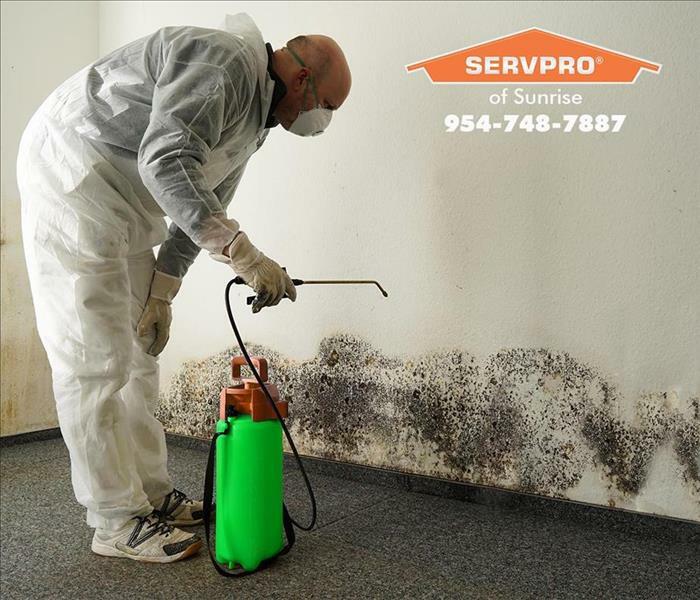 SERVPRO of Sunrise can remediate mold from anywhere in your home such as on wood, insulation, drywall, crawl spaces, attics, basements, etc. In order to treat mold correctly, it is important to find the source of moisture and correct the issue, not just put a Band-Aid on it. We regularly present tips and tricks on social media to prevent water damage for your homes in the Inverrary, Sawgrass Mills, Tamarac, Woodlands, and Welleby areas. If you need a recommendation for a local mold assessor, please give us a call. SERVPRO of Sunrise is locally owned and operated—so we live and work here too and are proud to be part of the Sunrise community. When you have a water or mold damage issue, we’re already nearby and ready to help.